How do you answer it? How concerned with attendance should philosophy professors be? Philosophy centrally involves learning certain skills and developing certain attitudes. As with most skills, exercising them and witnessing others exercise them is crucial. Since the classroom is the primary arena for that, I think philosophy professors should think student attendance is very important. What steps, if any, should one take to encourage attendance? Which are effective? Which are too paternalistic? There were some interesting comments on the subject in a discussion here nearly four years ago, which I excerpt below, but as the audience for Daily Nous has grown somewhat since then, I thought it would be worth revisiting the topic. P.S. 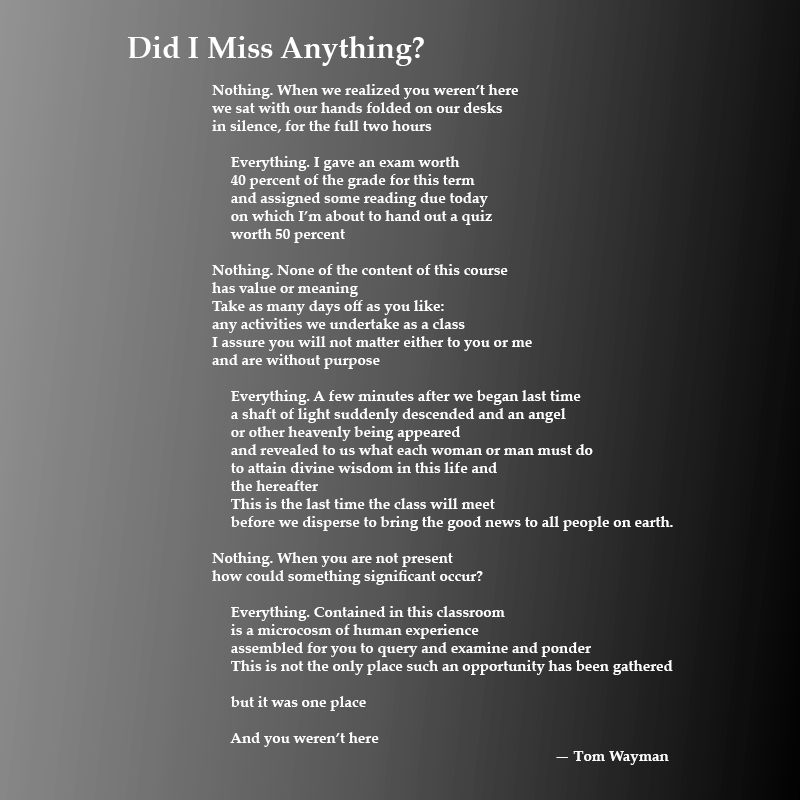 Wayman answers some questions about his poem at his site.